Observation - red-tailed bumble bee ?large - UK and Ireland. Description: black bumble bee with 'red' tail. The ID recommendation only has a 'large red-tailed bumble bee' so I think it must be this. 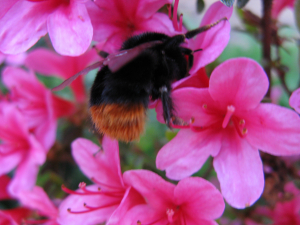 black bumble bee with 'red' tail. The ID recommendation only has a 'large red-tailed bumble bee' so I think it must be this.